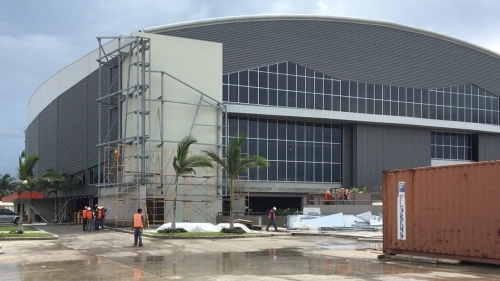 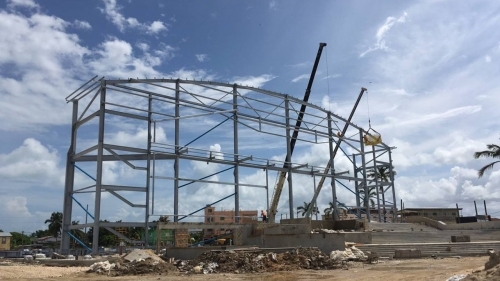 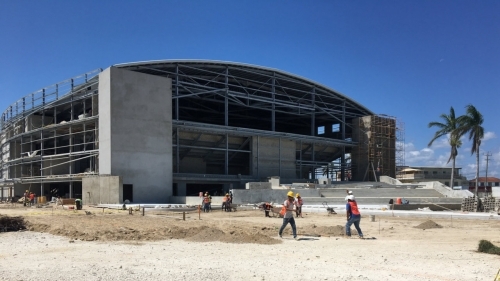 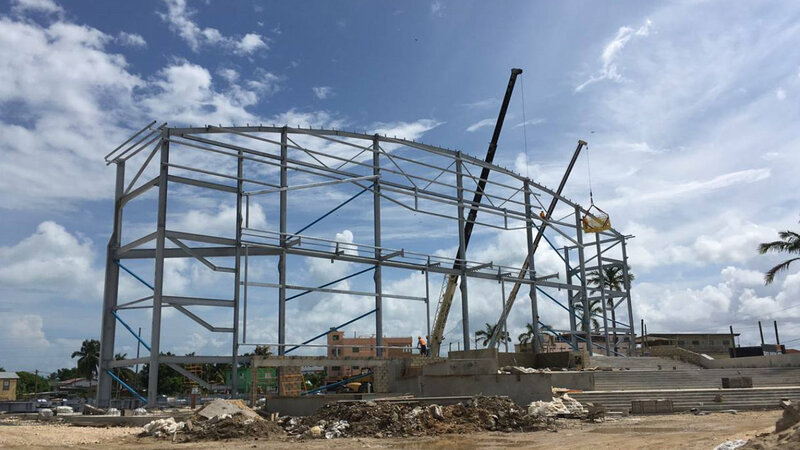 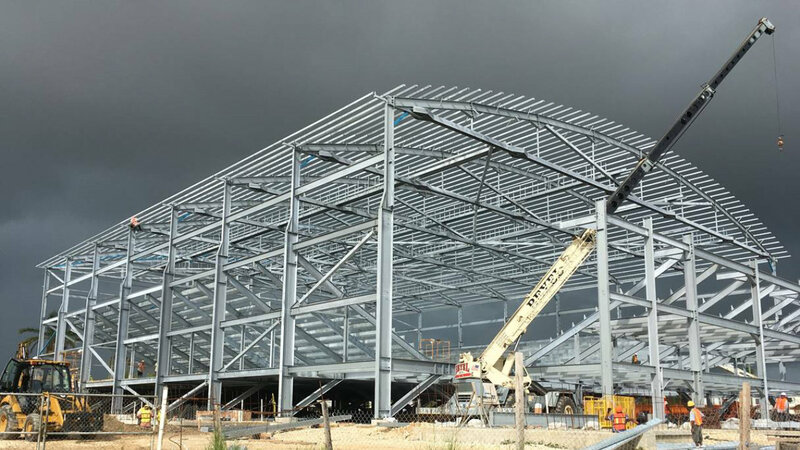 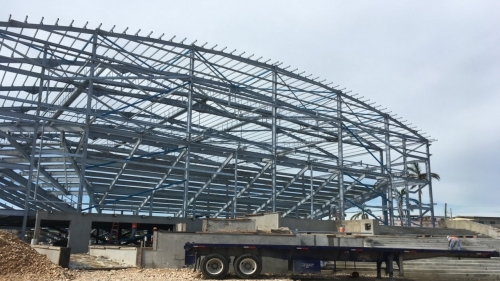 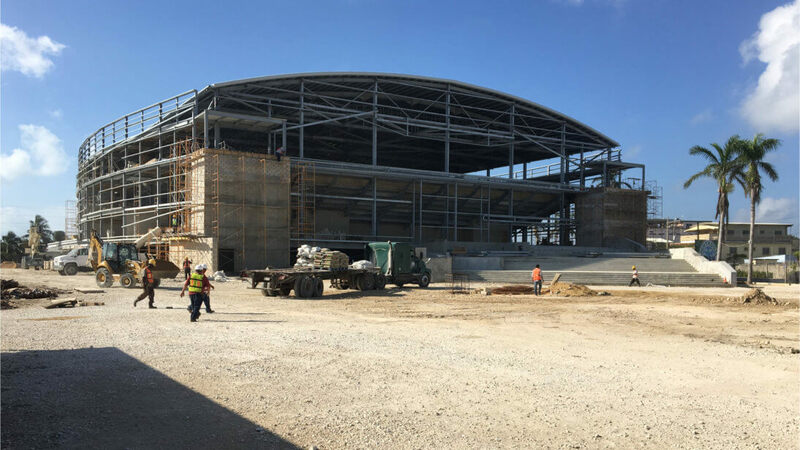 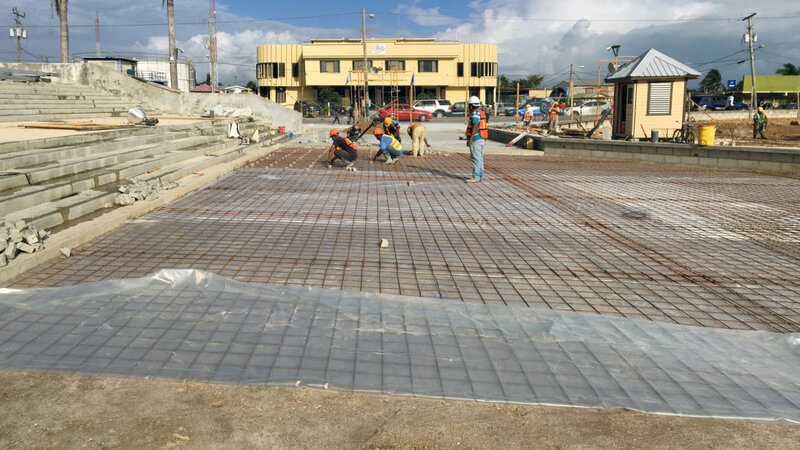 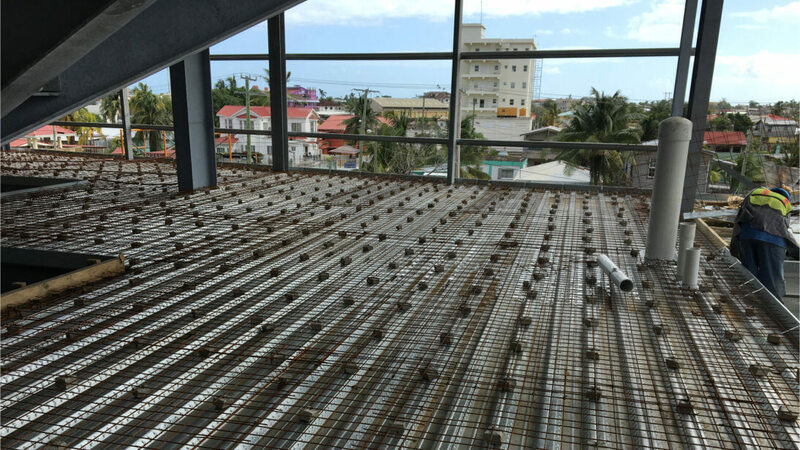 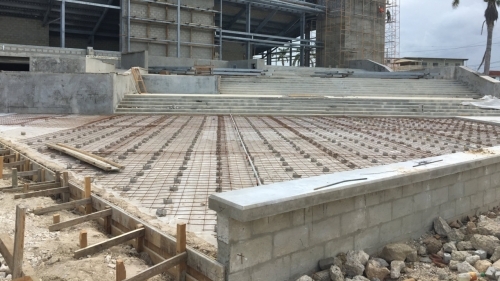 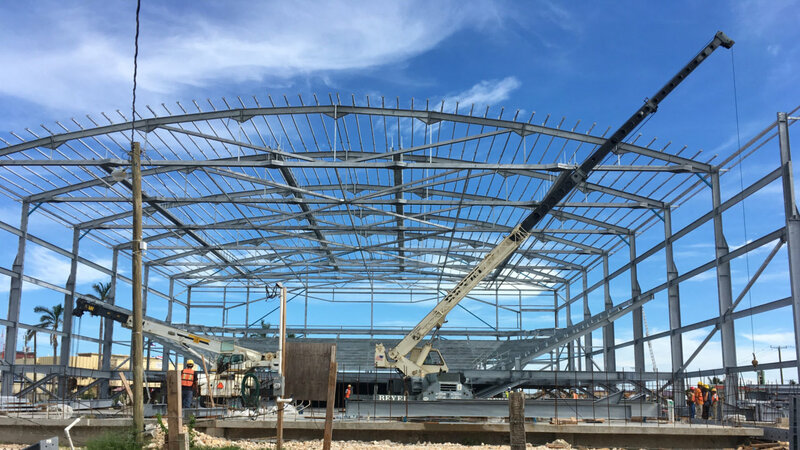 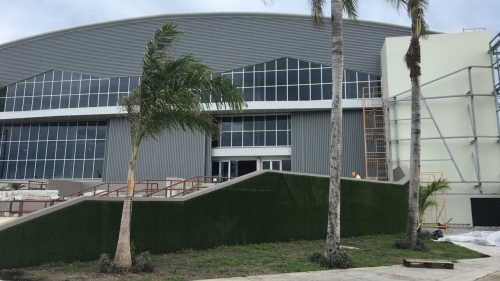 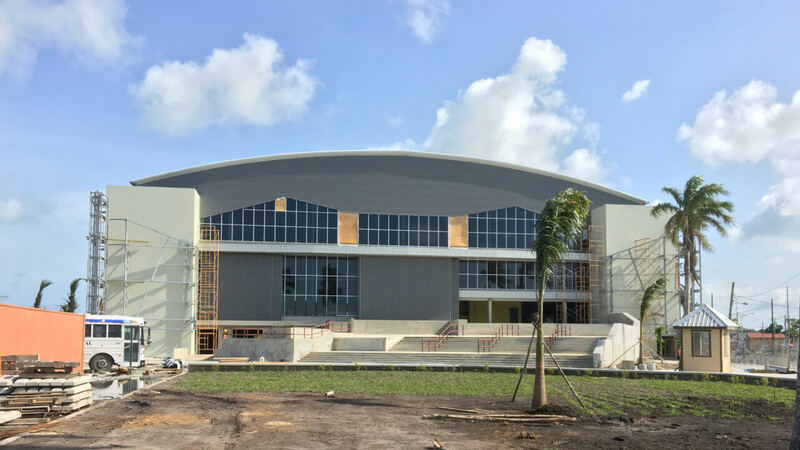 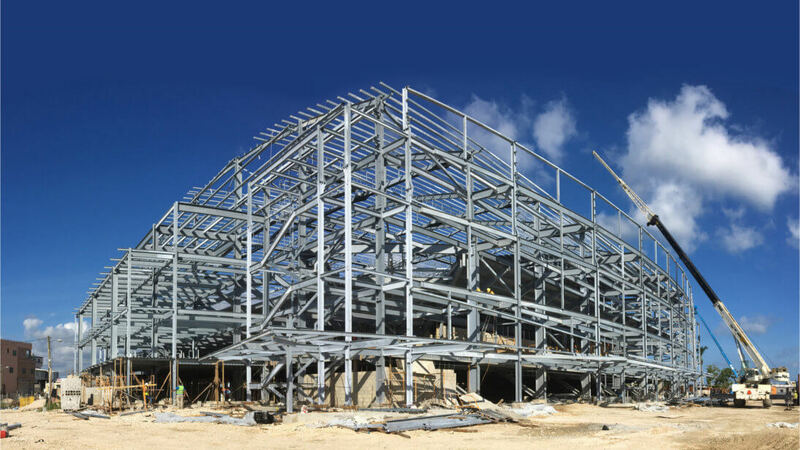 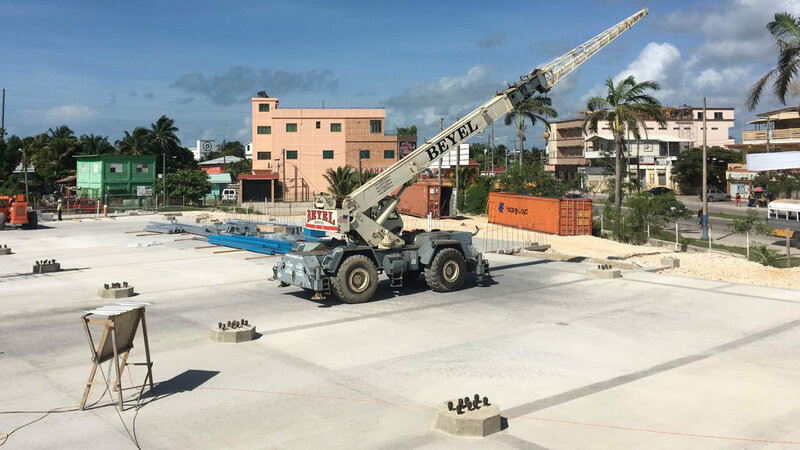 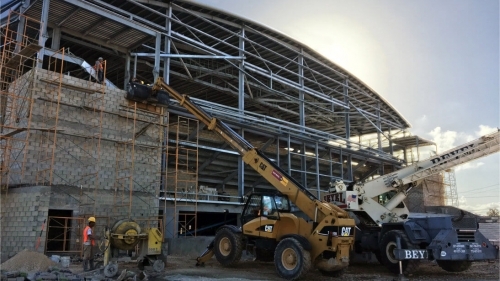 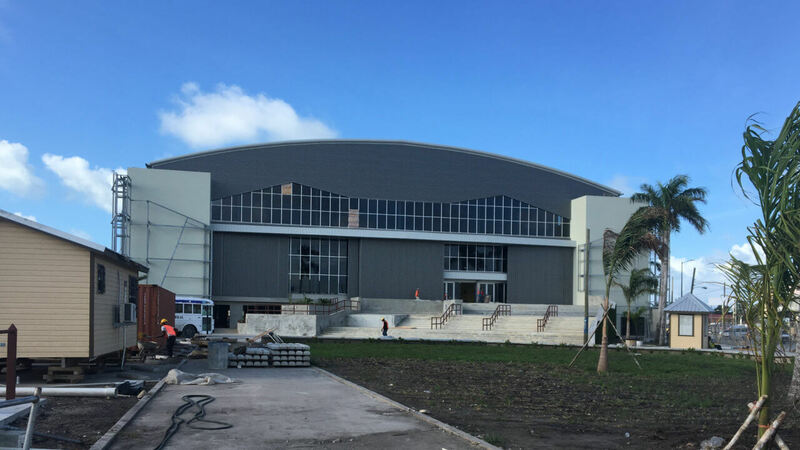 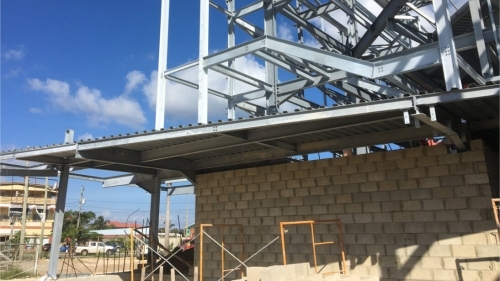 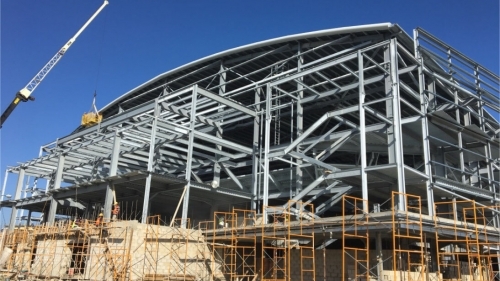 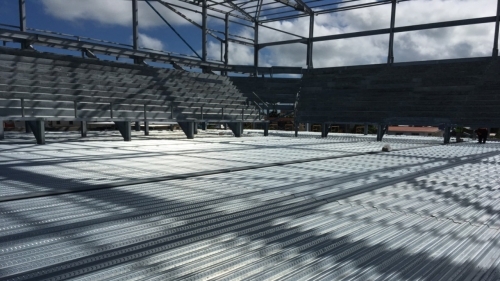 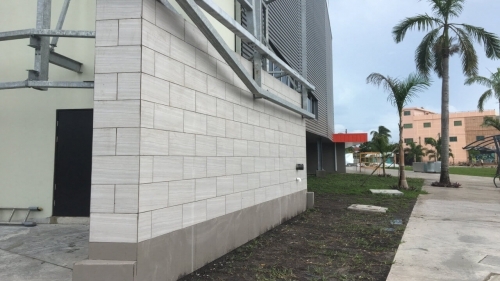 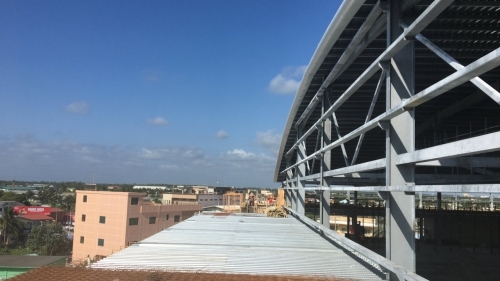 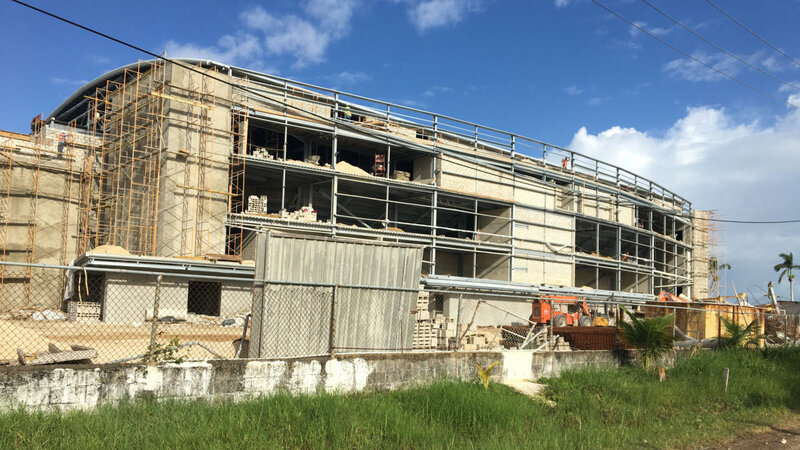 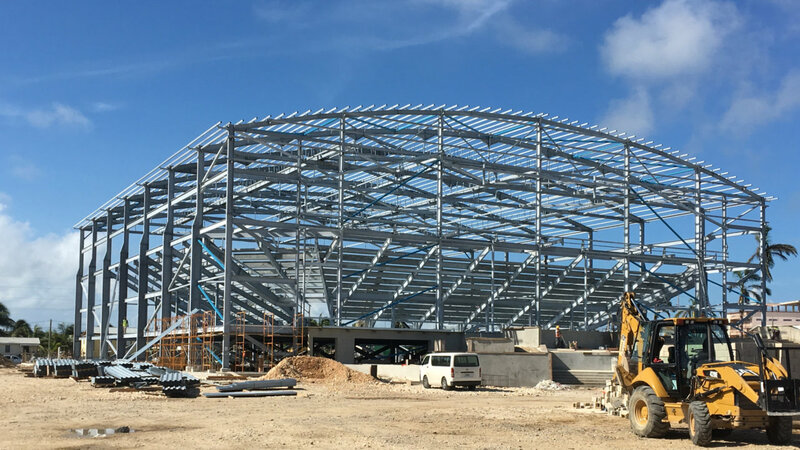 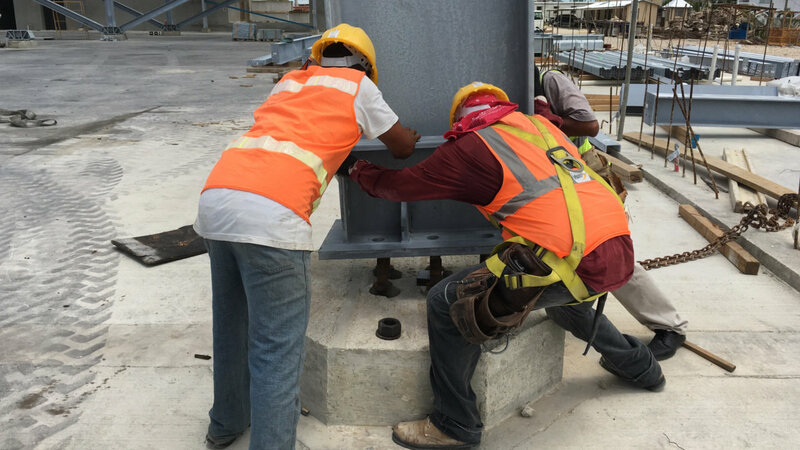 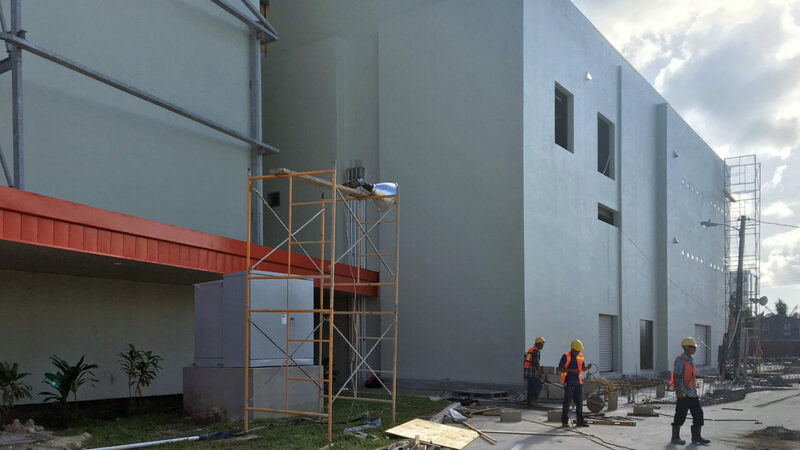 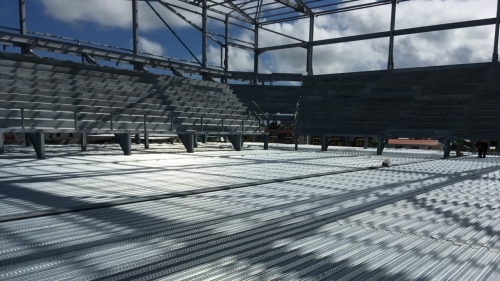 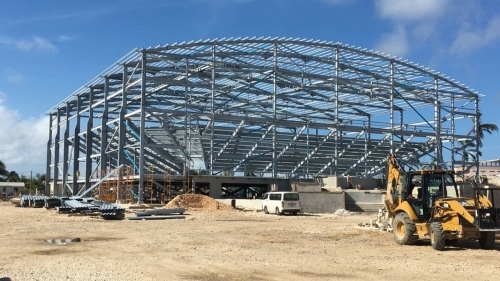 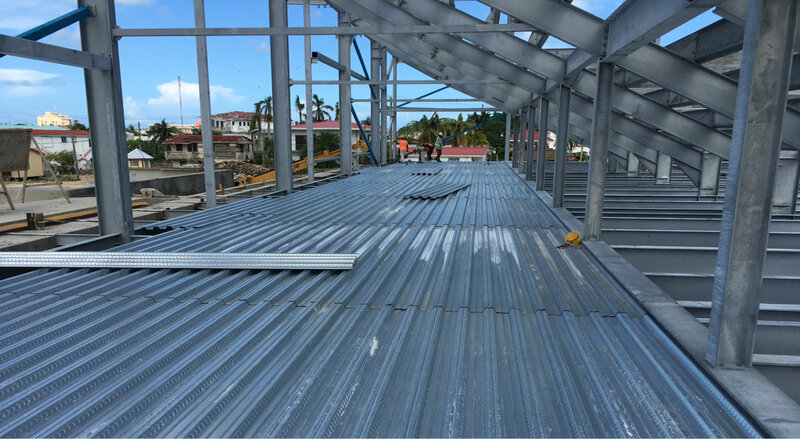 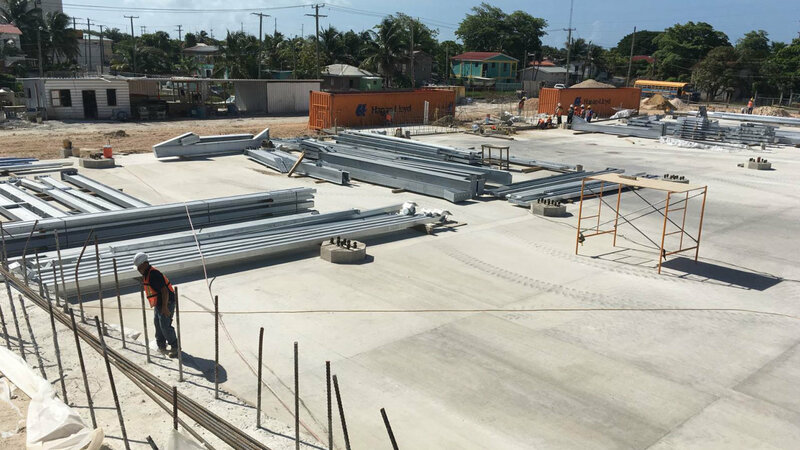 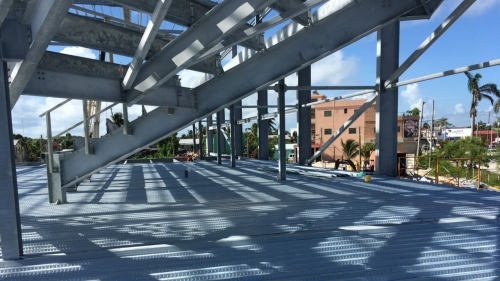 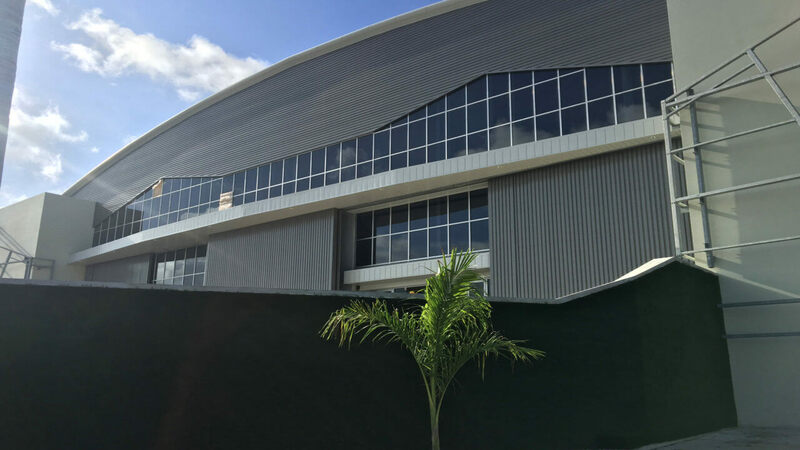 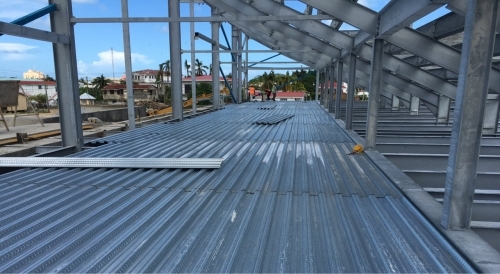 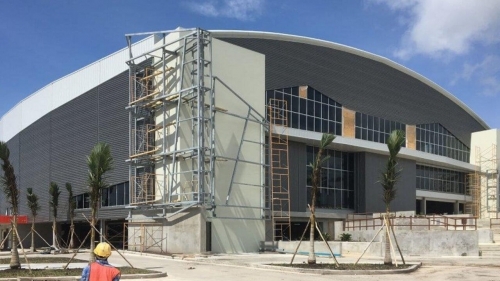 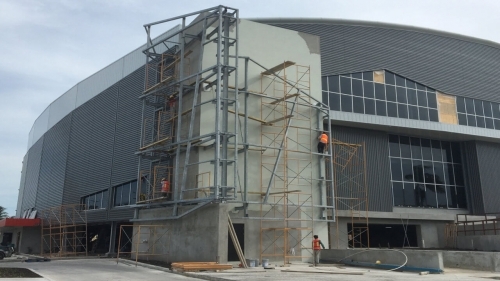 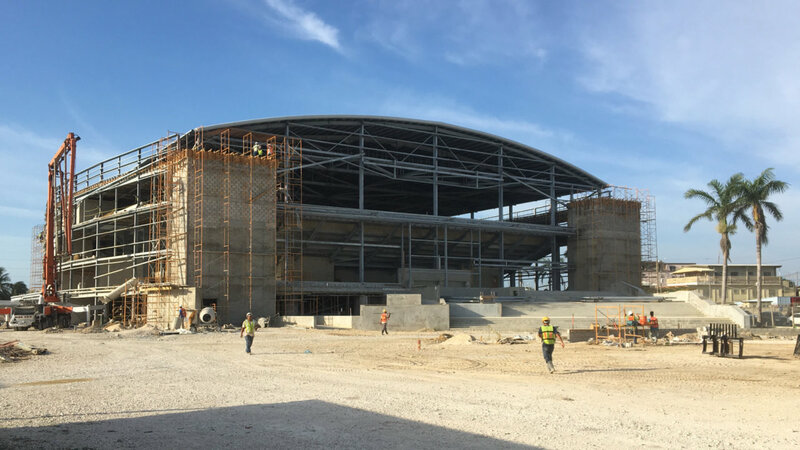 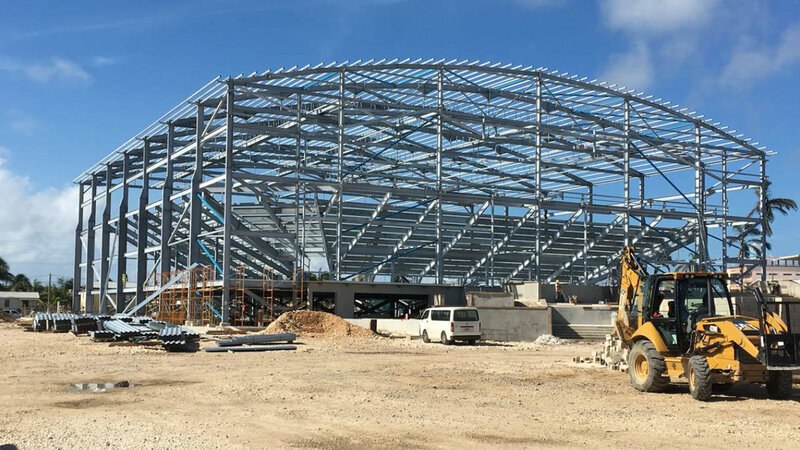 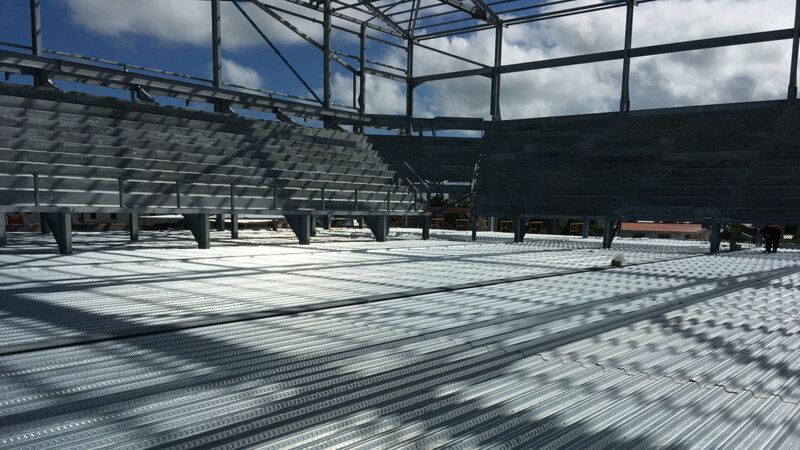 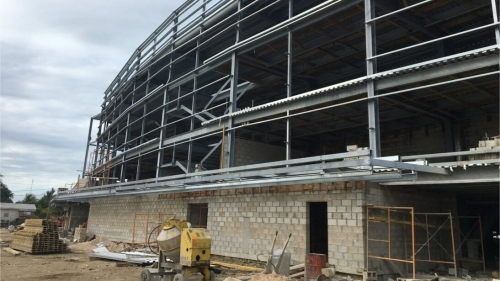 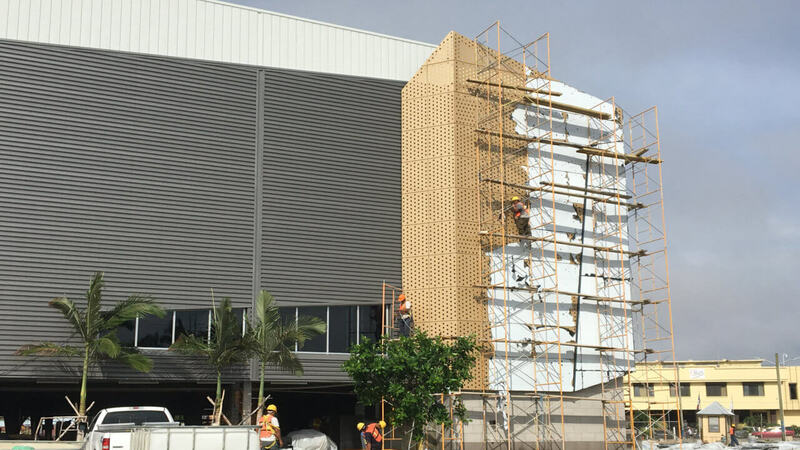 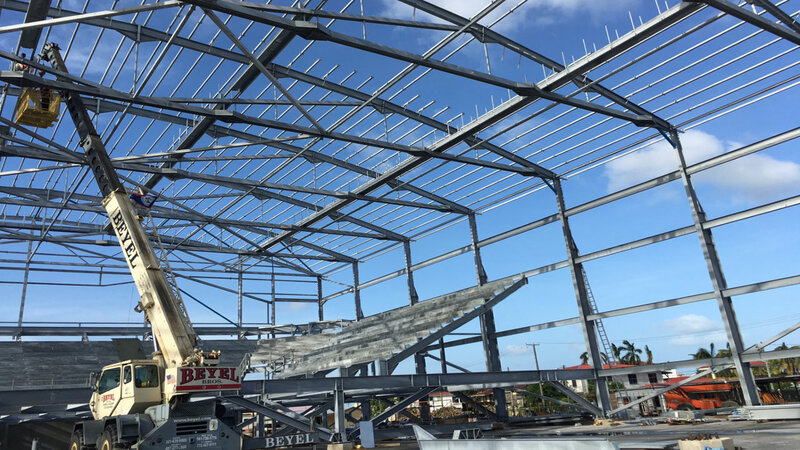 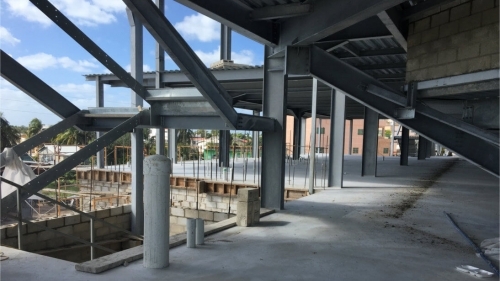 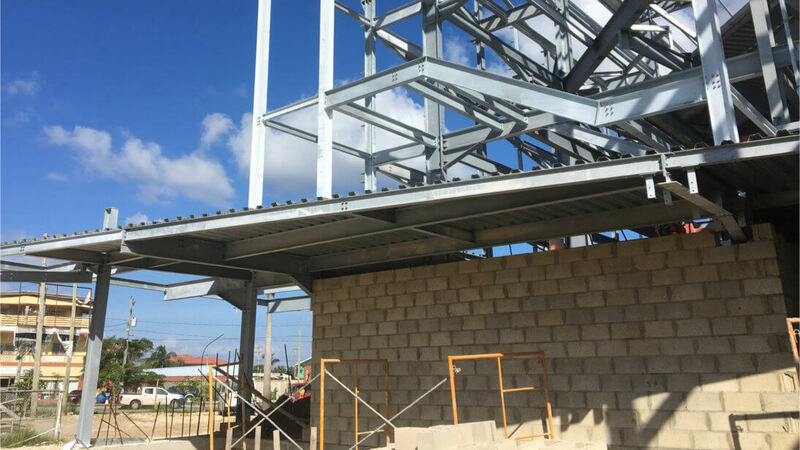 PROJECT FEATURES: The Belize Civic Center Sports Complex is a $32.9BZ million-dollars project that the Government of Belize issued through Belize Infrastructure Limited. 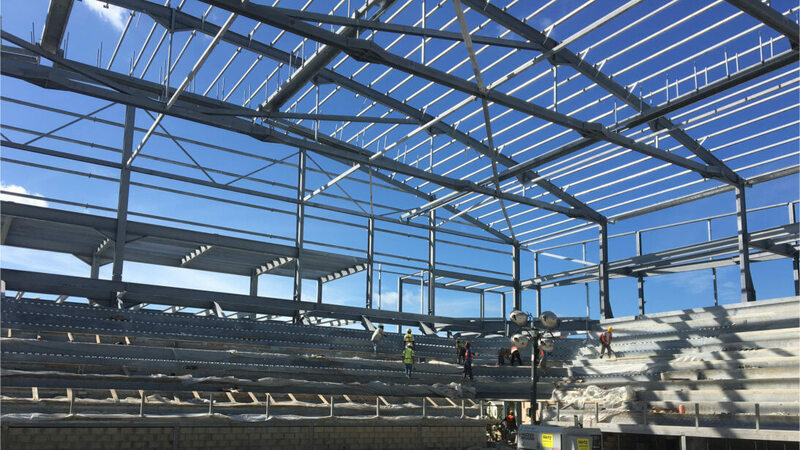 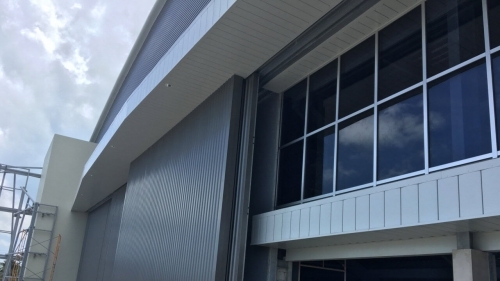 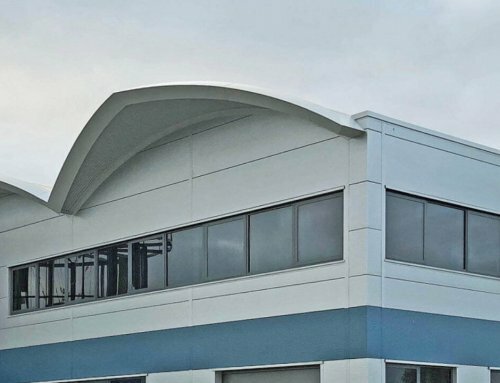 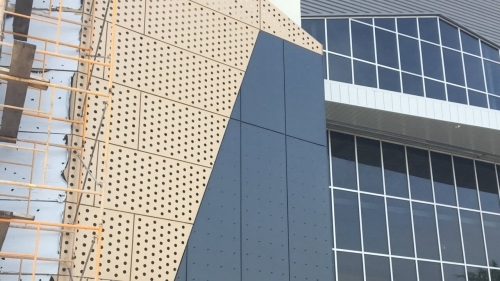 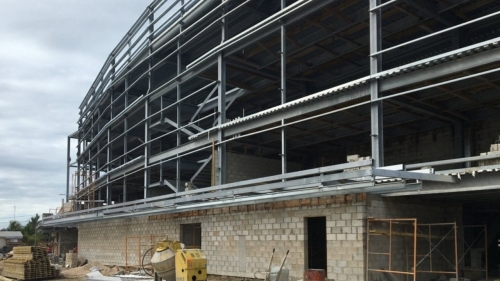 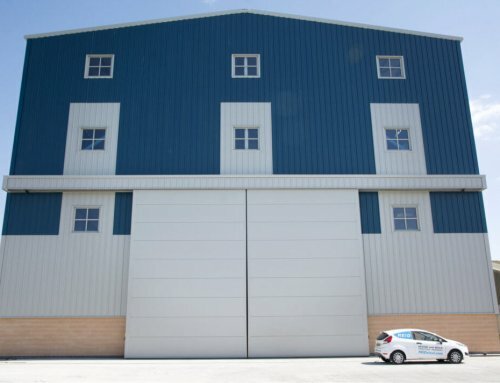 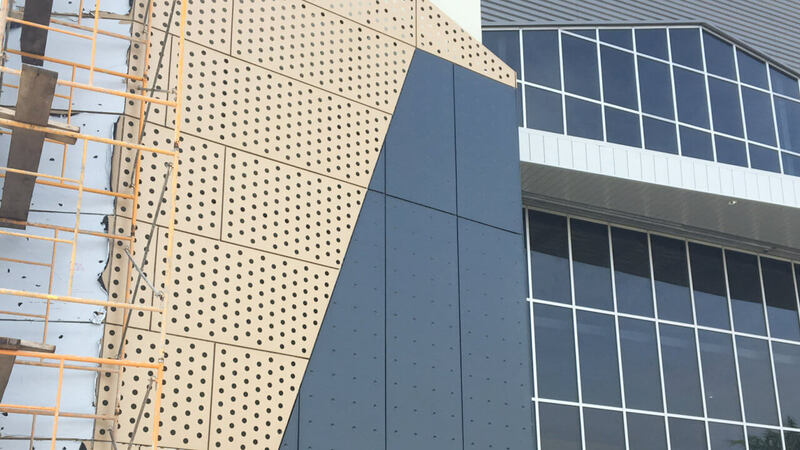 IE Ltd was contracted to provide design build services for the full construction of the sporting complex. 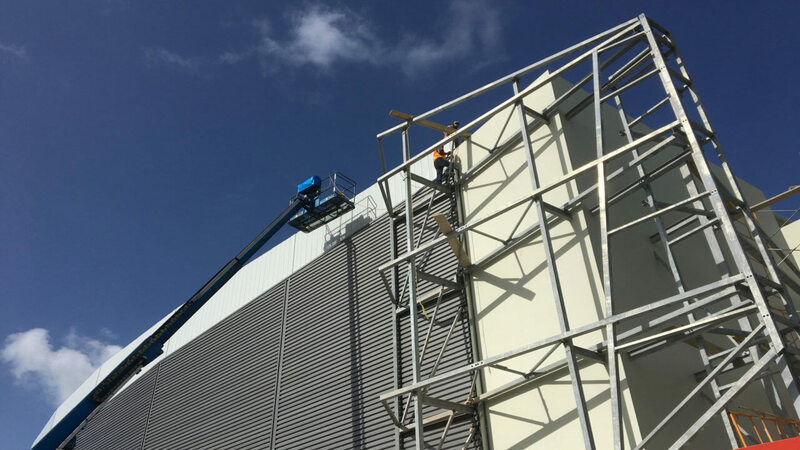 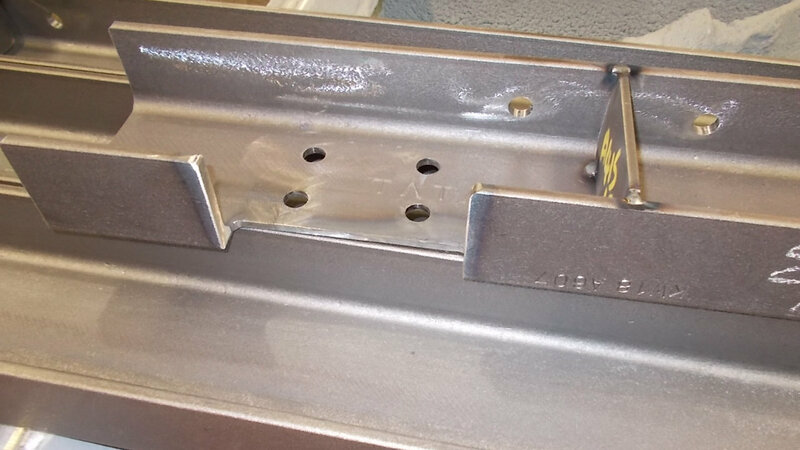 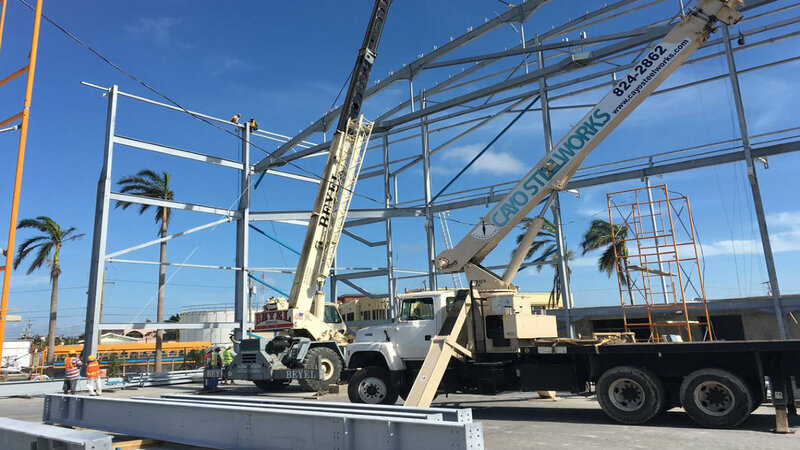 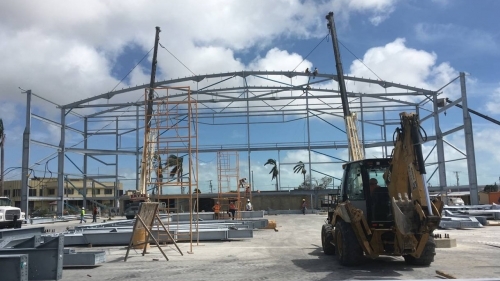 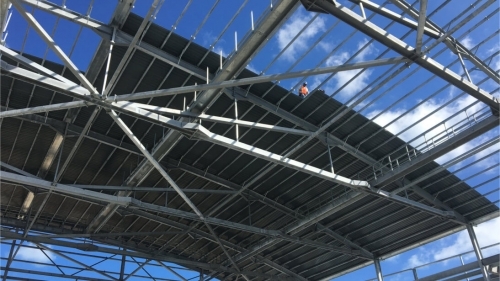 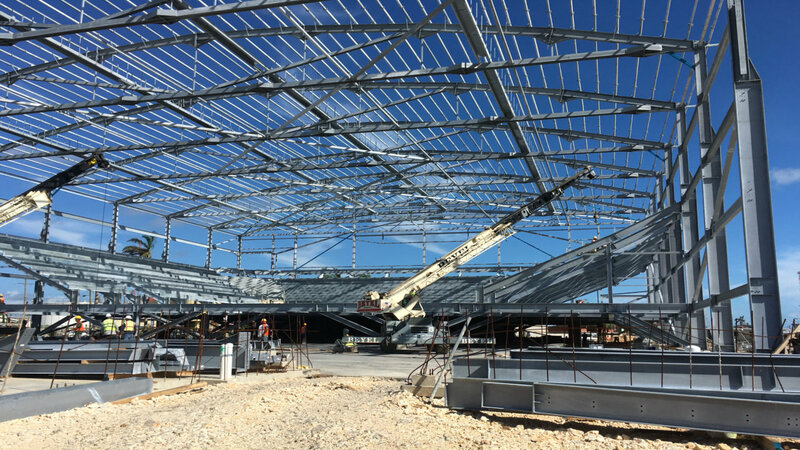 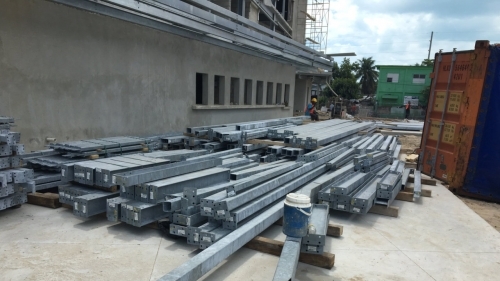 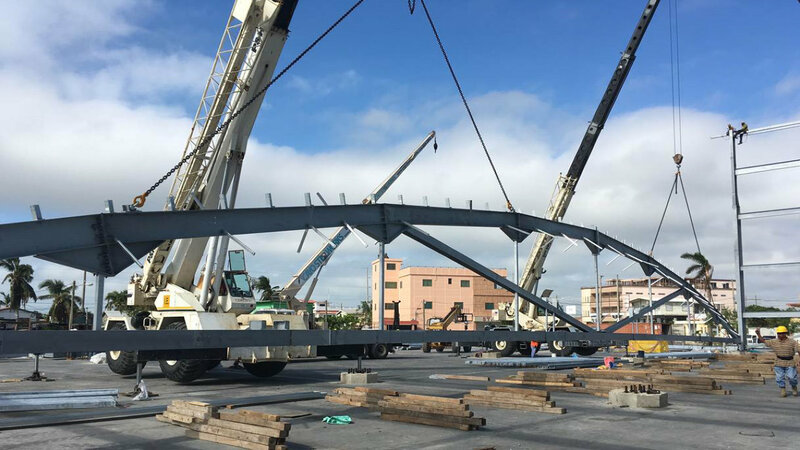 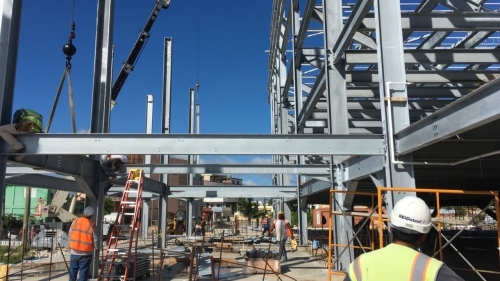 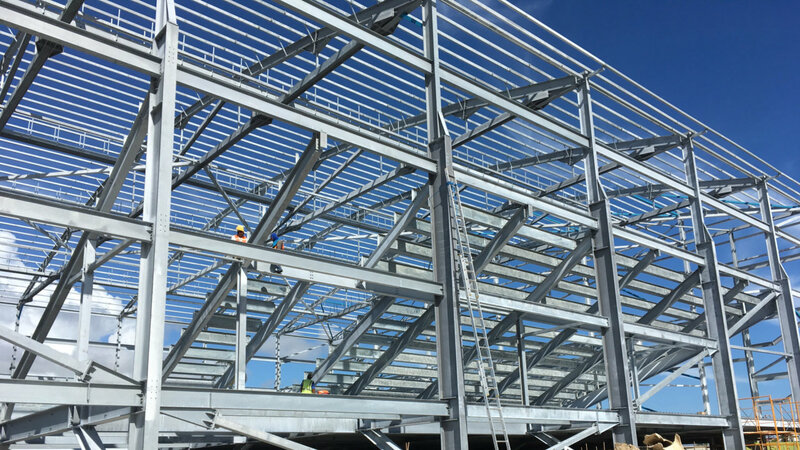 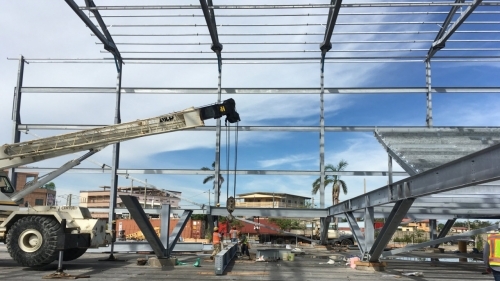 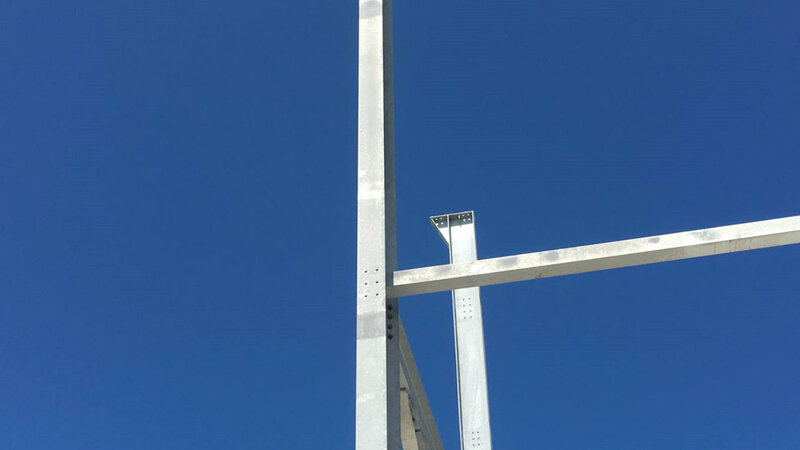 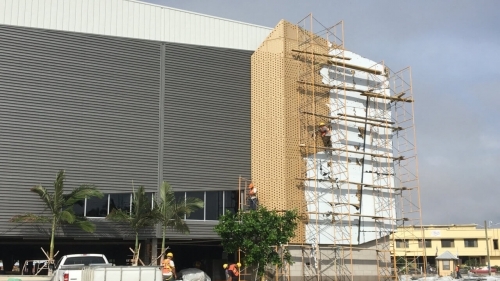 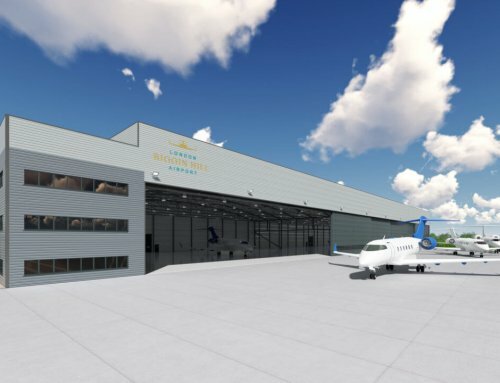 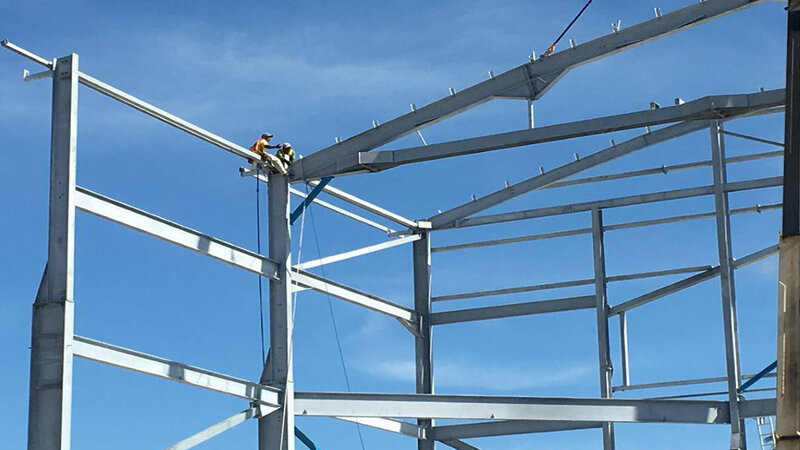 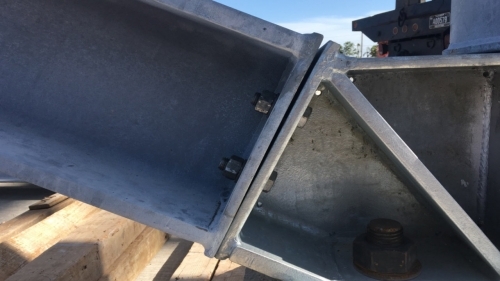 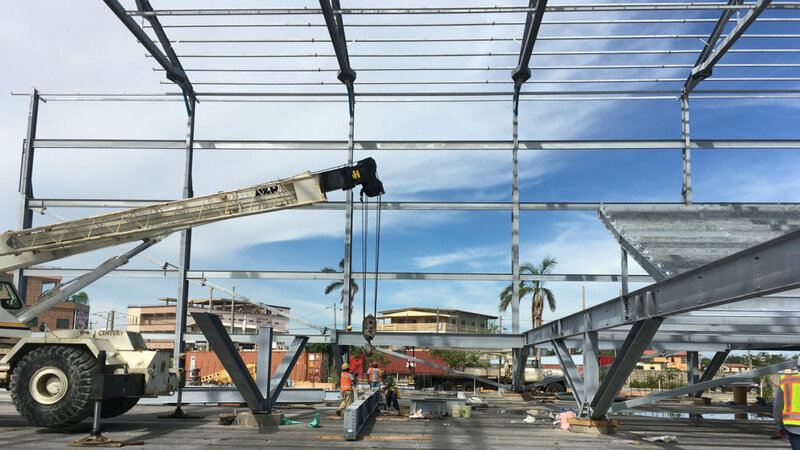 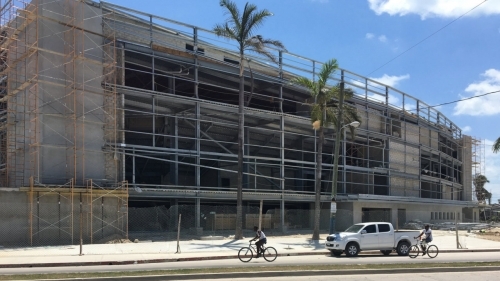 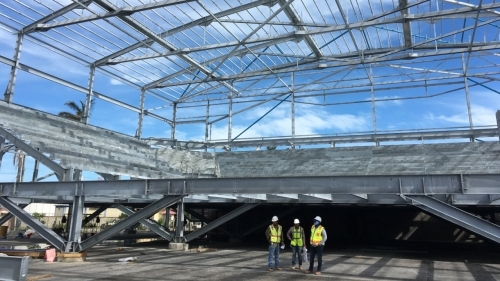 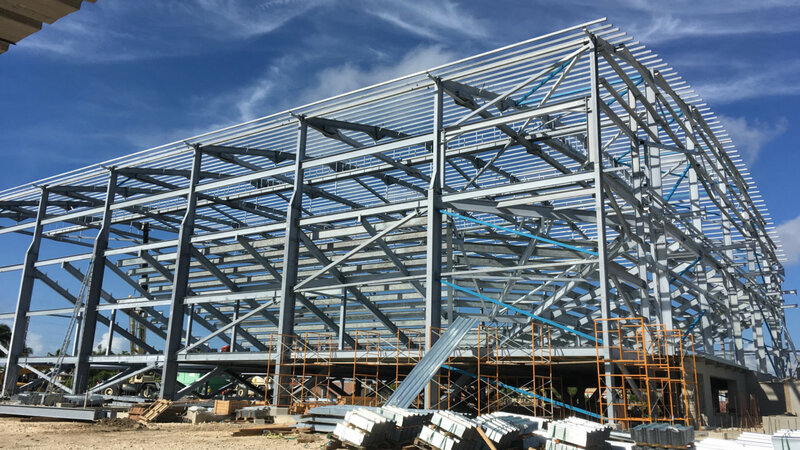 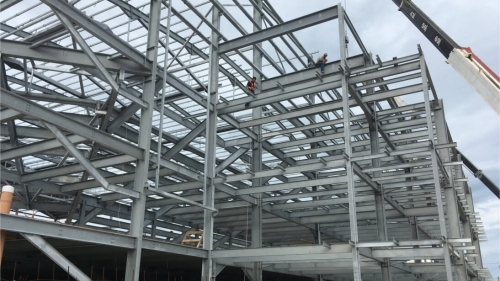 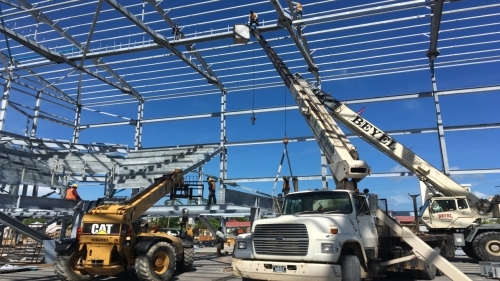 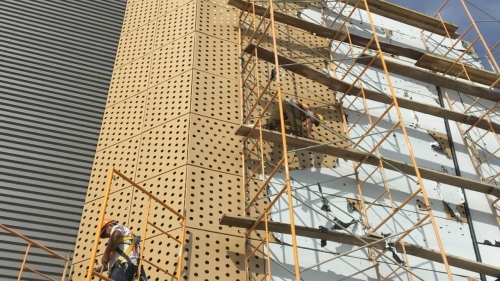 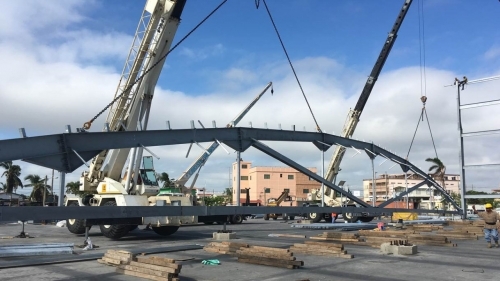 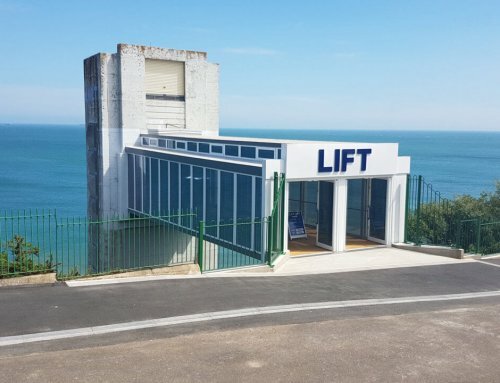 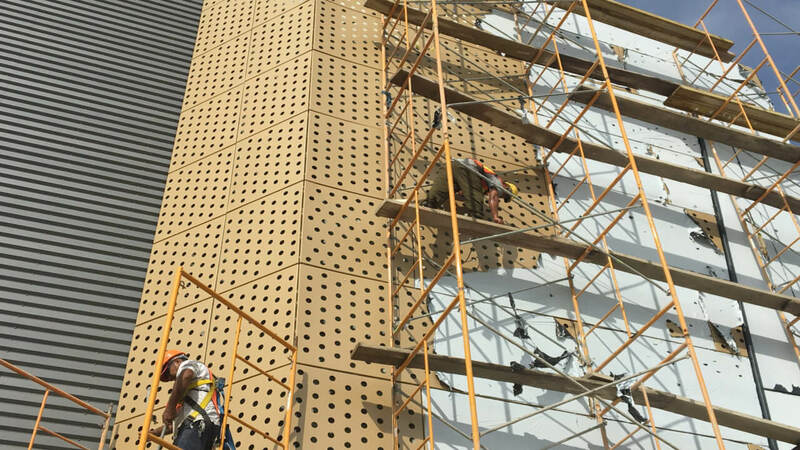 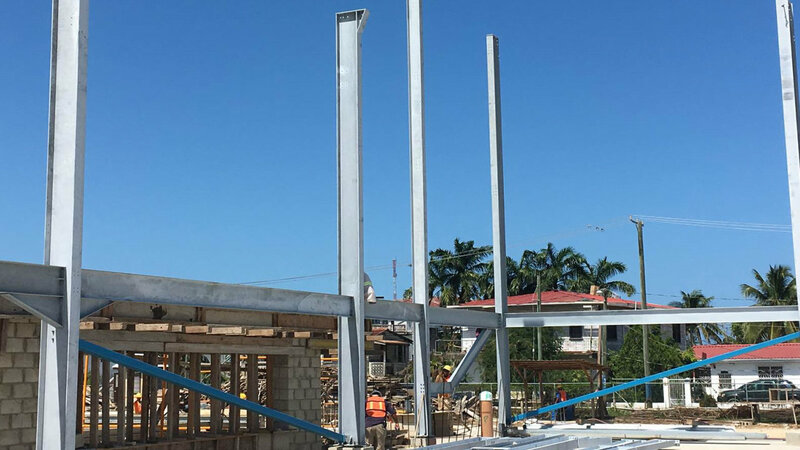 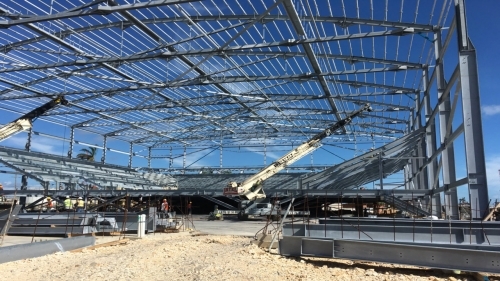 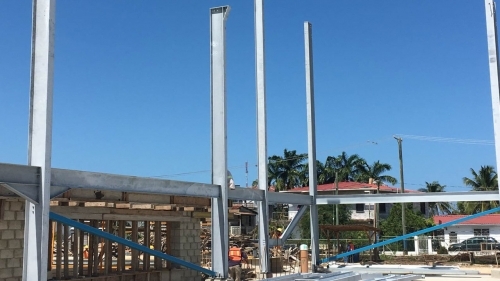 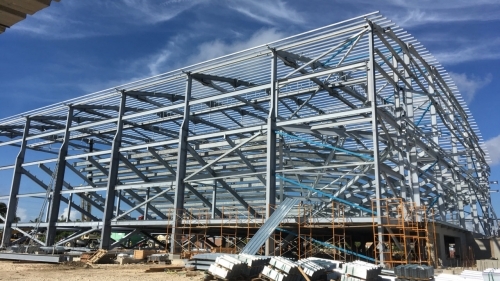 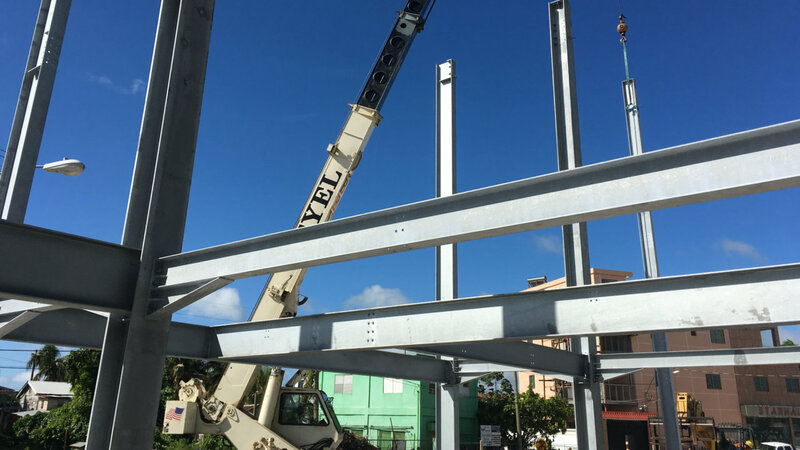 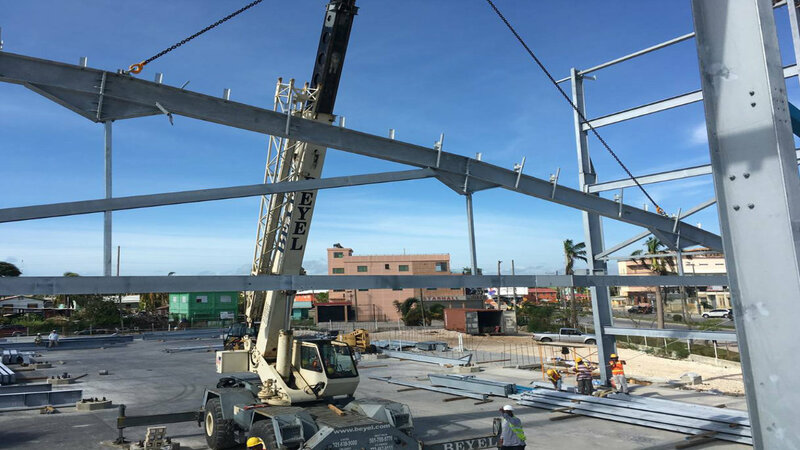 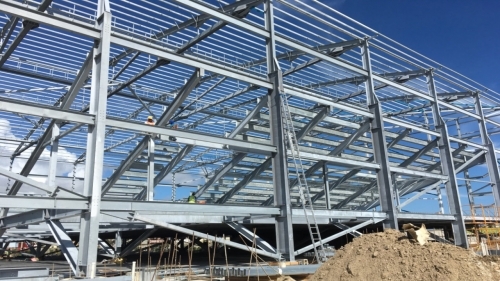 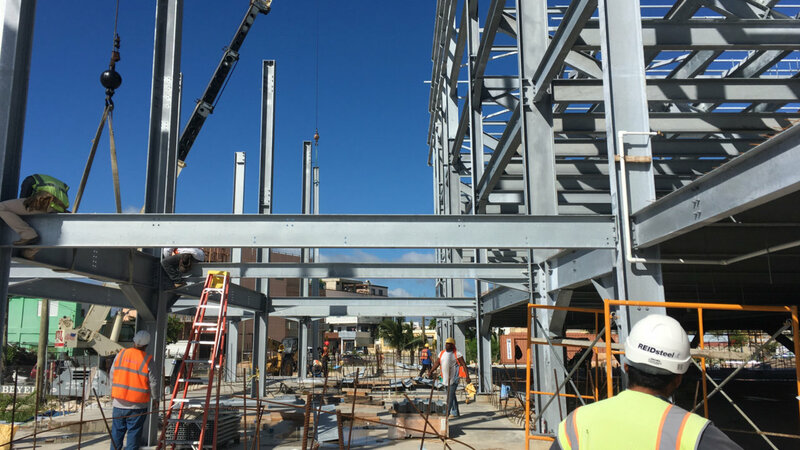 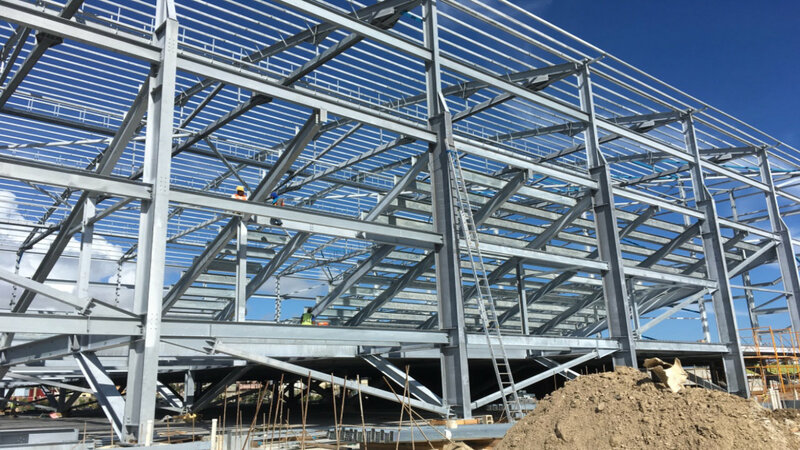 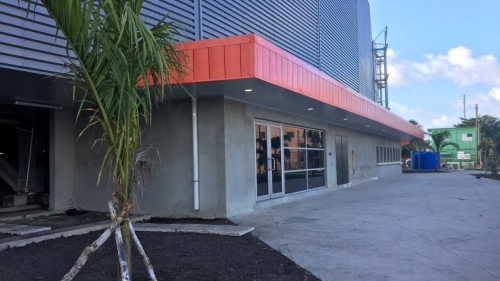 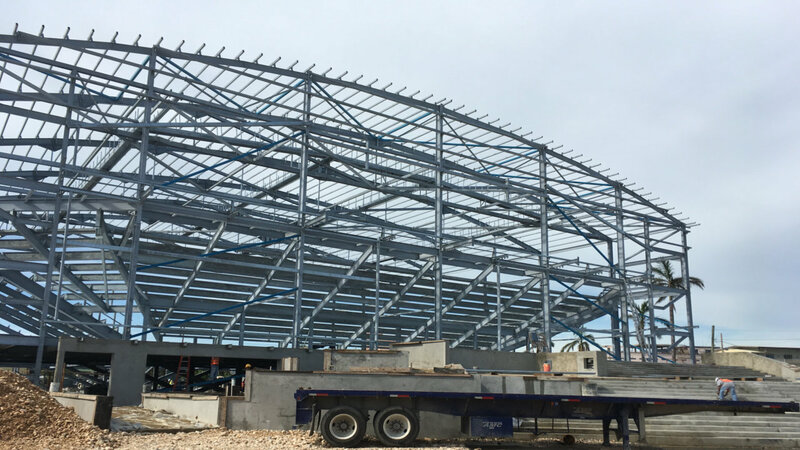 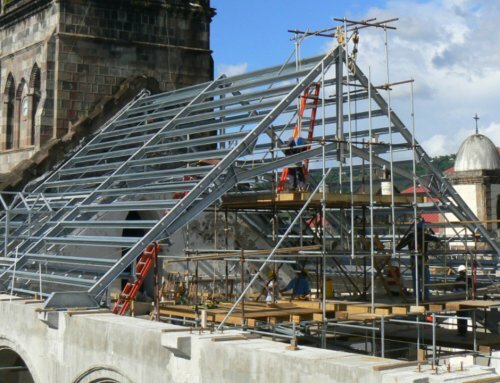 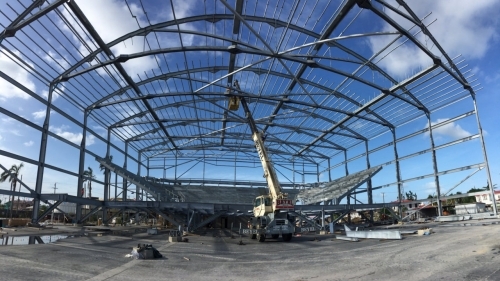 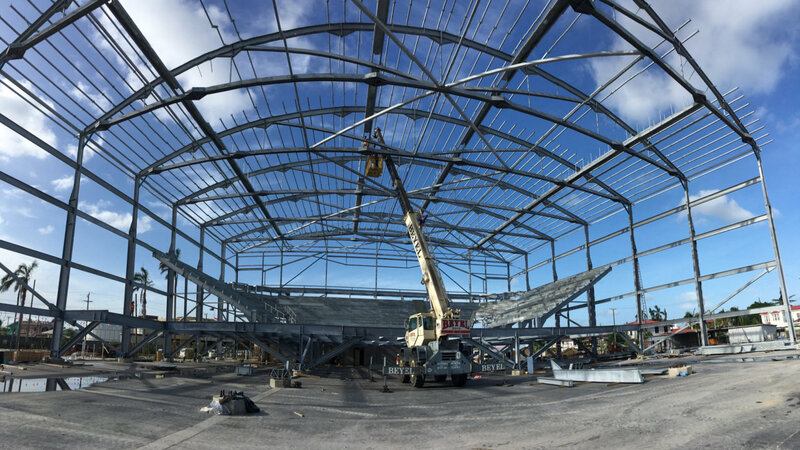 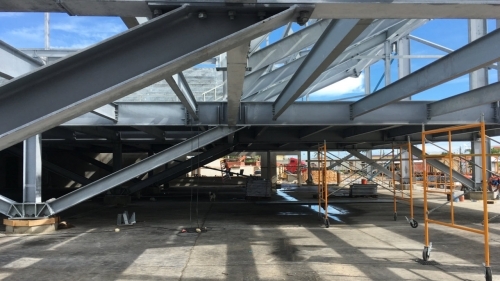 The building will be based on a Reidsteel structurally optimized steel frame, having all hot rolled sections hot dip galvanized to resist corrosion and minimize maintenance costs. 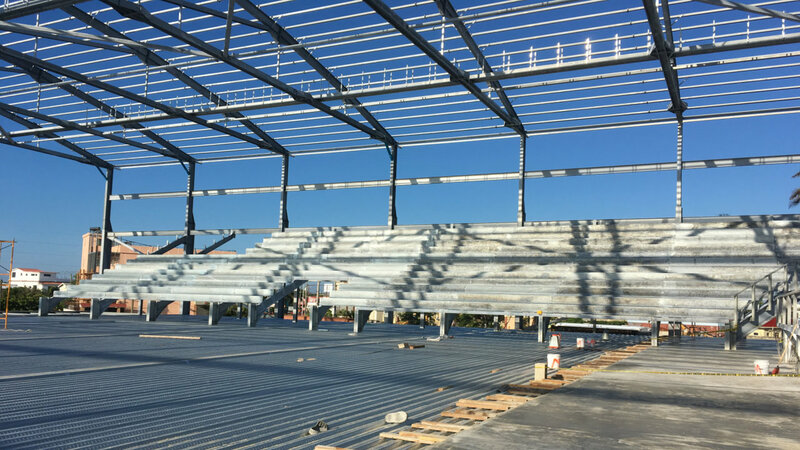 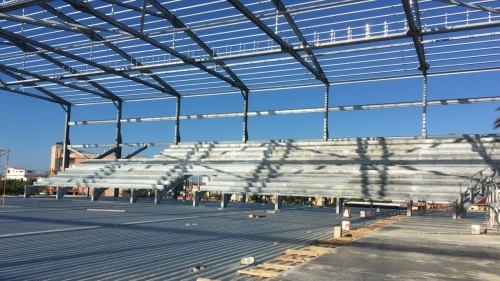 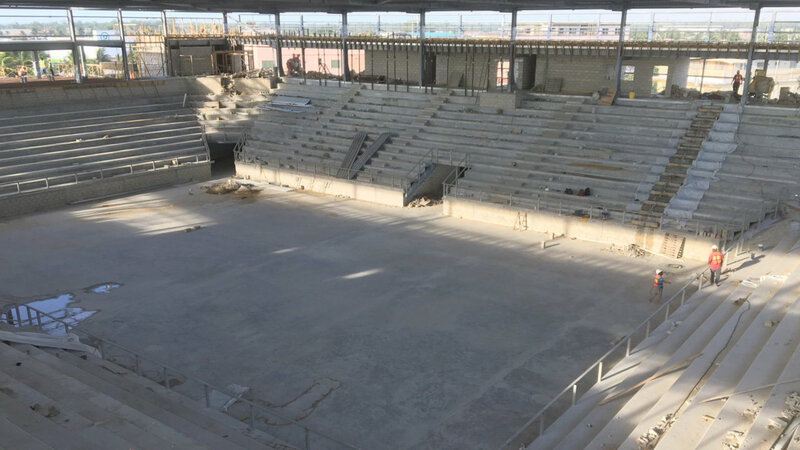 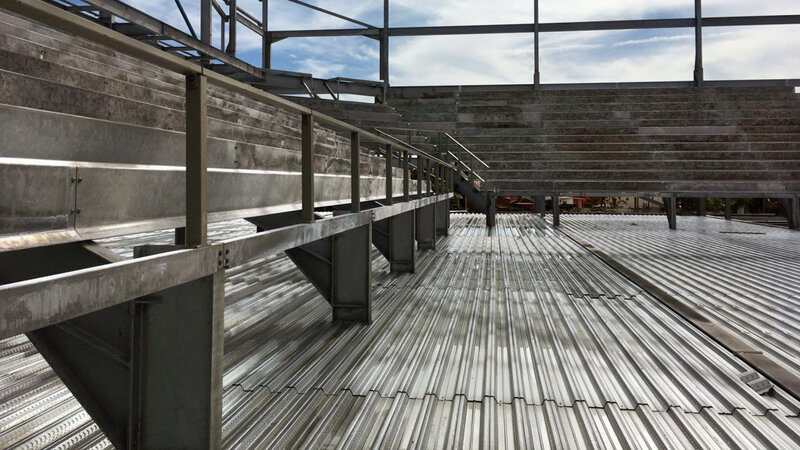 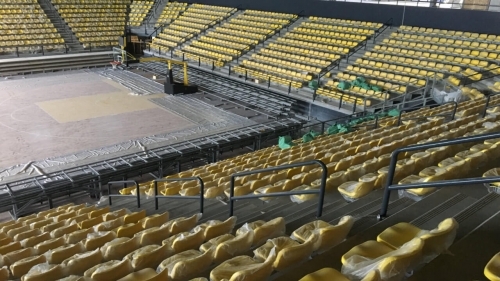 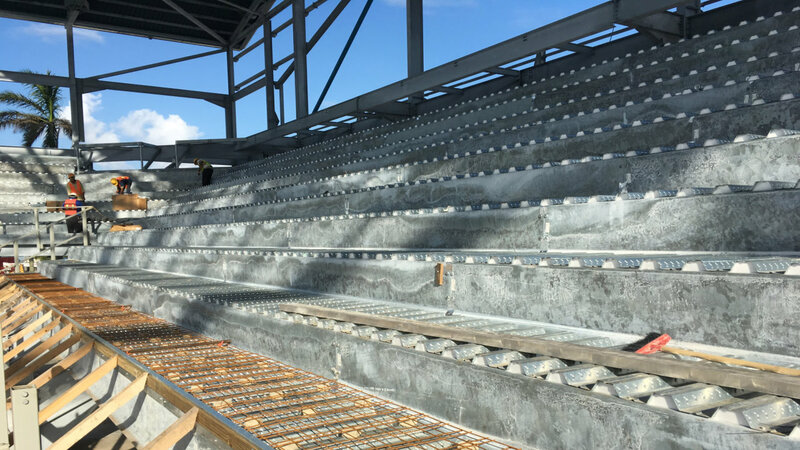 Bleachers have been designed to seat 4000 during sporting events and 5000 during other events. 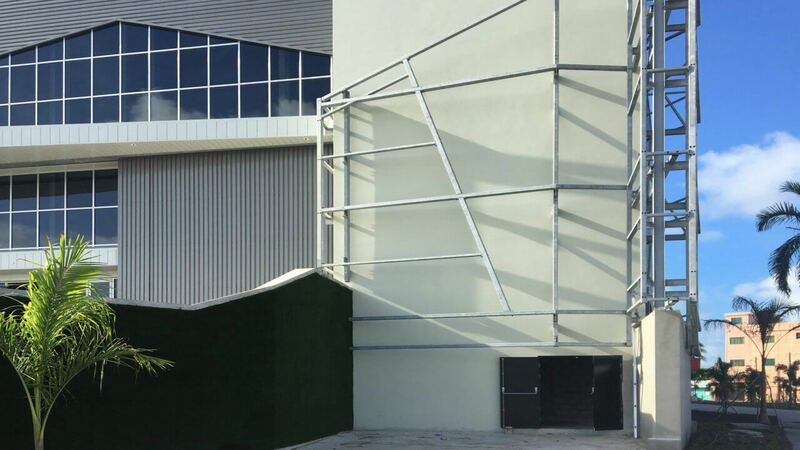 There are two 50- meter running tracks, a skateboard park, an exterior gym plaza, and an exterior stage area and IE has designated a 5 on 5-football field for public use as well. 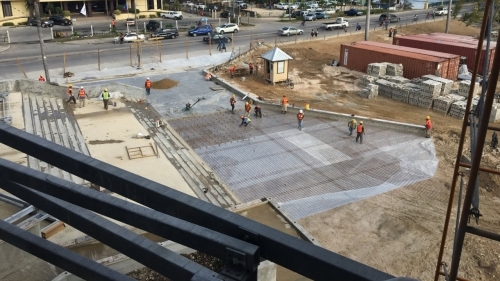 On the river side, there is also a water taxi pickup that would allow for new small business establishments to pick up and drop off people using the river; a fast and new transportation feature for the city. Also featured is a helipad, which is a FIBA regulation, for emergency use. The interior height can accommodate proper volleyball use (36 feet clear) for competition. 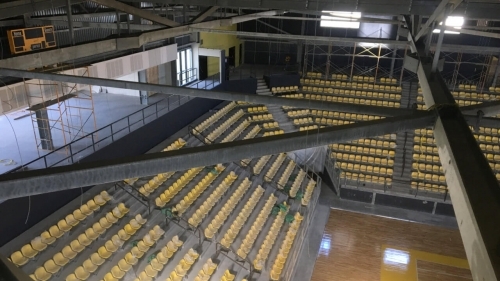 In addition to hosting a professional game, the court area is large enough to host 3 simultaneous practice courts indoor and there are 2 more courts outside for public use as well.